Home Dining Date Night in Astoria? We’ve Got You Covered. Date Night in Astoria? We’ve Got You Covered. Astoria is possibly one of the best places to go on a date in New York City: it’s lively, it’s known for its great food, and it’s full of fun things to do and places to go. Whether you’re on your first date or celebrating your first wedding anniversary, you’re guaranteed to find something perfectly suited to your occasion here. If you’re looking to impress your companion, try any of the following options—or a combination of them! A Walk Along Shore Blvd. We may not have a beach, but we have the next best thing at Astoria Park. Nothing screams “romance” like listening to the waves lap against the rocks as you stroll along Shore Blvd. alongside that someone special, observing the city lights reflect off the East River. Pick a cool, breezy night (you should have no trouble with the approaching fall weather!) and a topic of light conversation and you’ll be well on your way to the start of a great date. If the moment calls for it, take a break from your walk to snuggle up against the chill and watch the boats drift by. Astoria has a few beer gardens now, but we’re talking about the original Bohemian Hall, located at 29-19 24th Ave. Take advantage of the weather while it’s still warm and enjoy a selection of beers in the outdoor courtyard of this oldie but goodie. Bohemian Hall offers a bunch of options for date night, from quiet weeknights to boisterous weekends to special events such as silent discos and comedy shows. Pick a night that best suits you and your date and enjoy the great outdoors of Astoria with a cold beer to your lips! A community favorite, Sanford’s (30-13 Broadway #1) offers the atmosphere and fare of a five-star restaurant with the accessibility of a diner. Whether you’re on an early brunch date or picking up a bite after the night shift, Sanford’s is open 24/7 and has a sizeable menu to suit any palate. The Zagat-rated food and impressive win and beer collection, coupled with the dim lighting and tasteful décor, are sure to make a great impression on whomever you invite to dine. 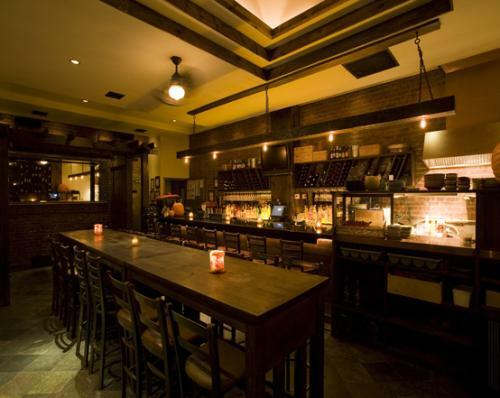 If you’re going for old fashioned and sophisticated, a stop by Winegasm (31-86 37th St.) is a must. Grab a table inside or outside, or pull up at the bar. Take your date on a tour of the world with red and white wines from Greece, France, Spain, Italy, and a number of other countries famous for their vintages. If you’re on a first date and have the poor luck to discover your companion doesn’t like wine, don’t worry! There’s also a great selection of beer and cocktails, as well as intimate lighting and special events including live music and performances, to make just about anybody happy. Cristina Guarino is a writer by day, writer by night with the crippling tendonitis to show for it. She’s an Astoria native with deep roots in Queens, from her four years at Queens College to her prior stint as a full-time reporter for the Queens Gazette. She can be found at her blog,http://crgwrites.wordpress.com, or on her Twitter athttp://twitter.com/crguarino.